I recently purchased one of those external dvd drives just in case I needed to use a disc to install my favorite games. Yeah, because I want a physical disc with me at all times. To be honest the drives just laying there useless in my shelf with nothing to do because I get everything of the net and don't really need discs for my data. And who really uses discs to carry data nowadays anyways right? That's why USB Flashdrives were invented in the first place. Anyways, Asus seems to be ahead of the game and came out with their own external disc drive with additional features that you rarely see in ultrabooks. 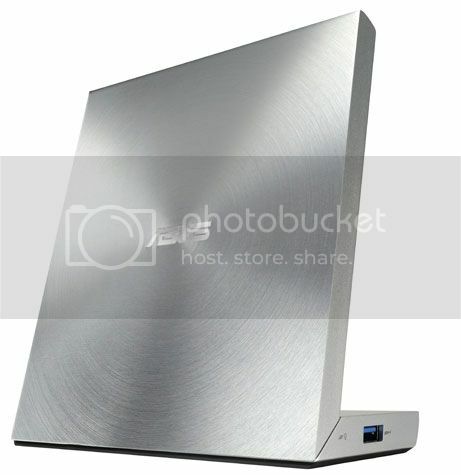 The Varidrive will add a couple USB ports, HDMI, ethernet and even a VGA port to your ultrabook everytime it's plugged in. It's a great to have something like this around because it's going to add more value to that external drive rather than just waiting for something to be exclusively available on a disc. Which will never really happen now.Don't really see a price tag on the Asus' site so I guess we'll just have to wait and see if it's worth the tag they slam on it.